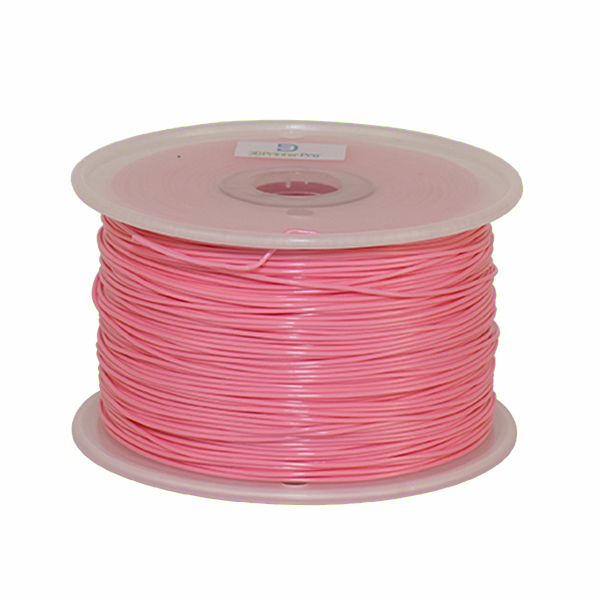 Pink PLA 3D printer filament is sized in 1.75mm or 3mm diameter and offered in 1 Kg (2.2 lbs spools). The color is a bright solid pink 3D printing filament that’s sure to print an object that will sweeten your design. Pink 3D printer PLA filament is perfect for printing romantic objects, sculptures, decoration, and wearable items for the lady or young girl’s room. 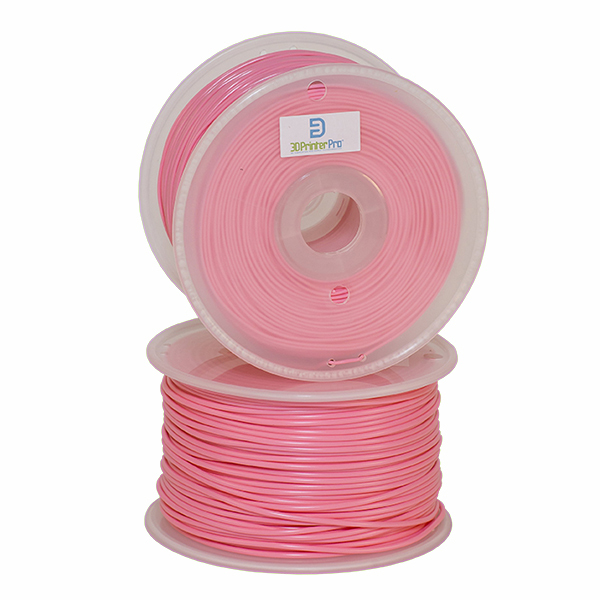 Both 1.75mm and 3mm diameter pink PLA 3D printing filament is optimized for performance on almost all desktop 3D printers on the market today. Pink Polyactic Acid (PLA) is biodegradable and made from materials such as corn starch, tapioca roots, and sugarcane. Considered one of the most popular 3D printing filaments for sale today, it’s a multiple purpose material with high strength and minimal warping. Compatibility: Our 1.75mm and 3mm pink Polyactic Acid 3D printing filament for sale is inspected, tested, and confirmed to work with all FDM (Fused Deposition Modeling) 3D printers. This includes popular brands such as Printrbot, Ultimaker, Afnia, Up!, Type A Machines, Solidoodle, Flashforge, Airwolf3D, Makergear, RepRap, and Makerbot (Replicator and Replicator 2). 3D Printing Helpful Hint: 3D printer filaments are sometimes sold in different spool sizes. This means that you may not have the right spool holder on your printer to properly hold the spool in place as you 3D print. Consider 3D printing different spool holders for your printer. You can find many at 3D model file sharing sites such as www.thingiverse.com. Fun Fact: Pink is a soothing color; sometimes used in prisons and mental health care facilities to help subdue patients or prisoners that may be out of control. 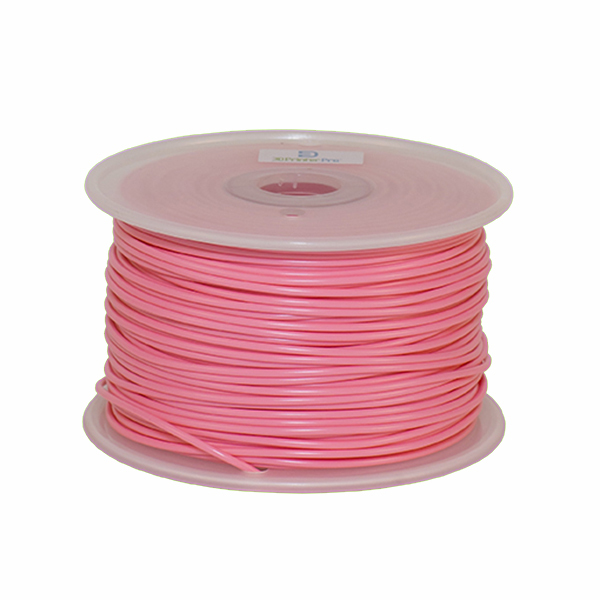 Have a question on pink 3D printing filament for sale in either 1.75mm or 3mm diameter? Contact info@3dprinterpro.com for additional sales help.